No one anticipates encountering a broken window or door panel. And we certainly cannot anticipate the time of year it will happen! If you’re in need of glass repair work for your home or office building, call to talk with one of our associates at Fassezke Glass & Mirror, Inc. We offer affordable repair work with lasting quality and great customer care. Every glass repair job is unique and requires a different approach. But our team is prepared and experienced with emergency situations and are quick on their feet with boarding up windows or door panels. This quick call to action is to make sure you feel secure and comfortable in your environment while your replacement glass is being processed. If you live in the Tri-Cities area or beyond and need glass repair, call the experts at Fassezke Glass & Mirror, Inc. Dealing with broken or shattered glass can be difficult if you haven’t dealt with this situation before. 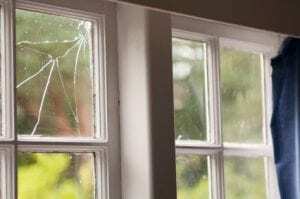 However, our professional glass technicians have worked on numerous glass repair jobs and are prepared for any job at any time, and will provide you with the appropriate repair based on industry safety codes. We value your business and look forward to serving you.